NXP has launched the OM13099 CAN-FD shield. It provides a dual CAN/CAN-FD transceiver for use with CAN-enabled LPCXpresso V3-style boards. 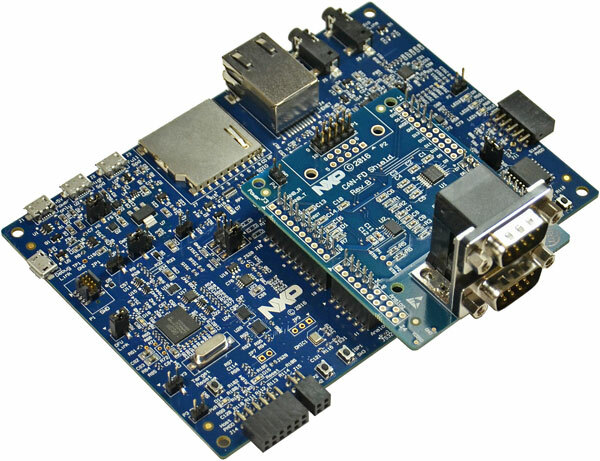 The board features the NXP TJA1059 dual transceiver, plus an EIA-232C transceiver. This module is compatible with all the LPCXpresso546xx boards (although LPCXpresso54608 only supports Classical CAN, not CAN FD). How to configure the shield module is described in the User Manual for the board family. Jumpers enable or disable CAN termination resistors. The 9-pin Dsub connector allows accessing the bus-lines. 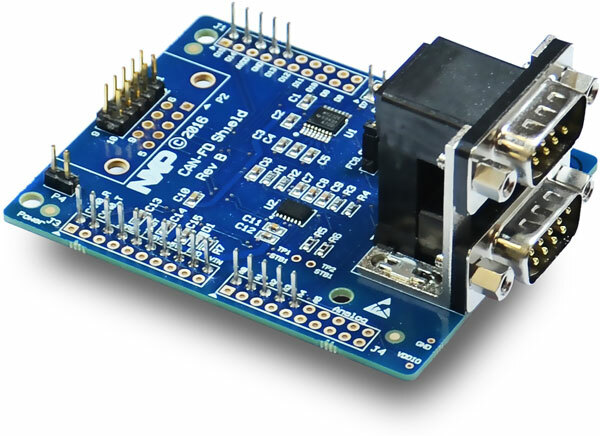 The LPCXpresso54618 CAN FD kit features an LPC54618 MCU with an on-board debug probe, and a daughter card (also known as a shield board) with the above described CAN FD shield. The on-board probe is compatible with MCUXpresso IDE and other tool-chains such as those from Keil and IAR. The board is also equipped with a 10-pin header enabling the use of third-party debug probes. Note that CAN FD drivers are not included in SDK2.2 library, but are available as a separate download.